The show was fantastic! So many people, so much information, so many companies. There was no way you could consume all of it. 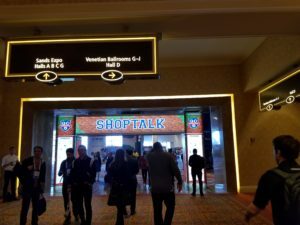 After spending 4 days in Las Vegas at Shoptalk 2018, I have put together my 5 biggest takeaways from the conference. With all the doom and gloom on the news, retail apocalypse, death of retail, whatever you want to call it, physical stores still do 90% of all retail sales. That doesn’t sound like doom and gloom to me! The stores that are closing, most failed to innovate, adapt, or were just out dated. In fact, many online companies are now venturing into physical stores. Amazon is leading the way. With the purchase of Whole Foods, Amazon tapped into one of the largest sectors of physical retail in the U.S. In 2015, the total retail and food services sales in the US was 5.35 TRILLION dollars (1). Also, with their C-Store concept and their Khols pop-up stores they are pushing further into physical retail. All the new technology being rolled out in stores, robots, AI, AR, etc. are being invested in for one reason, growth. Companies are investing huge amounts of money into making the shopping experience seamless, exciting, and personal. Included in this are the huge amounts of data being gathered on customers, both online and in store. The more information they can gather, the more customized your experience can be. Whether it is shopping online, shopping to pick up at store, or for delivery, people of all age groups are adopting these new ways to shop. With over 77% of U.S. adults having a smartphone (2) , this means they can shop when they want, where they want, the way they want, from wherever they are! Retailers are investing in these technologies, trying to meet customer demands. The secret being to drive out overhead costs, making these new options even more enticing to the consumer. More and more customers just want to come in and get their items and leave. They don’t want to be bothered by associates along the way. This is a complete 180 to what I was taught my entire retail career! This is one of the reasons stores like the Amazon cashierless store are becoming a reality. The customer wants you there if they need help. But otherwise just let them shop. It’s no secret that fresh food has been one of the last areas for technology growth. For years, it’s been we put in on the shelf, and you come and buy it. Those days are changing, rapidly! Now with Instacart, DoorDash, Shipt, Amazon Fresh, and companies like Ocado it’s becoming a lot easier for a customer to have groceries delivered to their house. If delivery isn’t for you, you can order online and pick it up at the store without ever getting out of your car. Add to that robots in store scanning shelves for out of stocks, scan as you go technologies, cashierless stores, you can see that retail grocery has come a long way! This is just the beginning. 2018 is going to be an amazing year in retail. There is still lots of work to do, and a lot of technology to deploy. 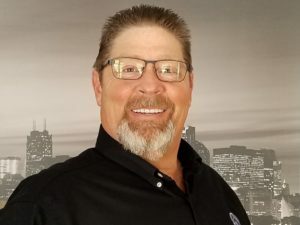 Gearing up for Shoptalk 2019 already!